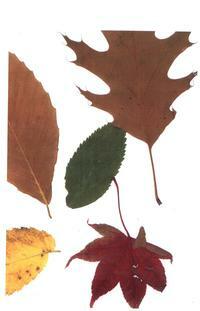 Faithbooking Inspirations: Get those leaves quick! Although I have not had the chance to make the page, (Refer to the earilier entry called Colorful Leaf Copies) I wanted to show you how awesome leaves look when they are made into color copies. These look so neat in pers on and I can't wait to use them on my page - we made sure to gather leaves from our own yard - which will be especially special to us when we move next year! 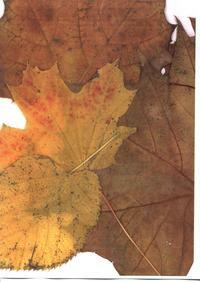 So, hurry up and at least get the leaves and copy them, you can always store the paper for the page later.